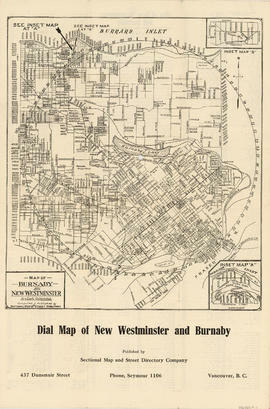 Part consists of a street map of Burnaby and New Westminster, information on bus and street car routes, and text advertising the products and services of the Dominion Map and Blueprint Company. 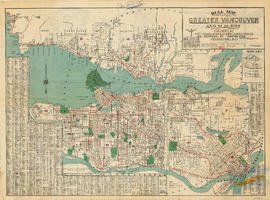 Item is a street map of New Westminster and Burnaby. 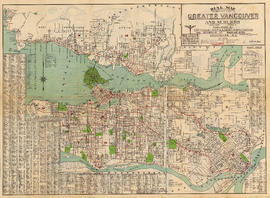 Item includes a dial (a numbered circle, a paper indicator, a grid of block numbers and a street index used to find locations). 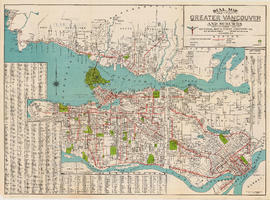 Part contains directions for using the dial map and the street index. 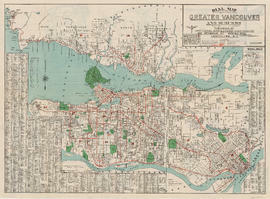 Part includes Major Matthews's annotation that the map was "Presented, 23 Apr. 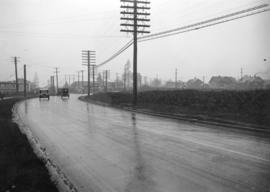 1942, by Robt. 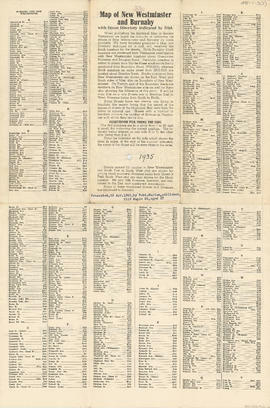 Morton, publisher, 2119 Maple St. aged 87." 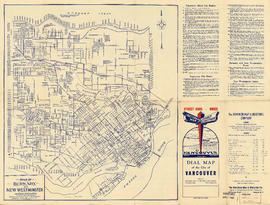 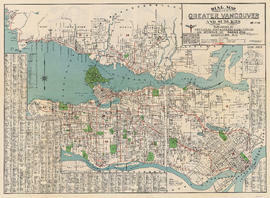 Item is a street map showing Vancouver on one side and Burnaby and New Westminster on the other, as well as information on street car and bus routes, and text advertising the products and services of the Dominion Map and Blueprint Company. 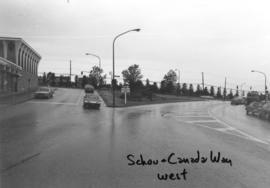 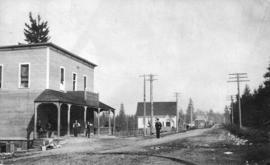 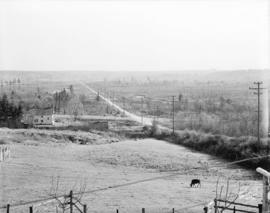 Photograph shows Neale house on northeast corner of Sperling Avenue and Lougheed Highway surrounded by fields and vacant land. 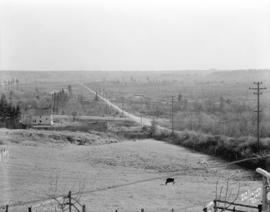 Railway tracks visible in the distance.